Amanda Spratt took the silver medal at the road race of the World Championships of Innsbruck. The Australian rode the last part of the course on her own after she was left behind by World Champion Anna van der Breggen. Spratt was part of an escape group that was formed at around 60 kilometres to go in the race. This group was caught by Van der Breggen, who dropped them all except for the Australian rider. "I’m definitely happy with the silver medal. I can be very proud of this," said the rider. "The Australian team did a very good job protecting me in the early laps. When I made my move, I was expecting the Dutch to come across and Anna (van der Breggen) came across. 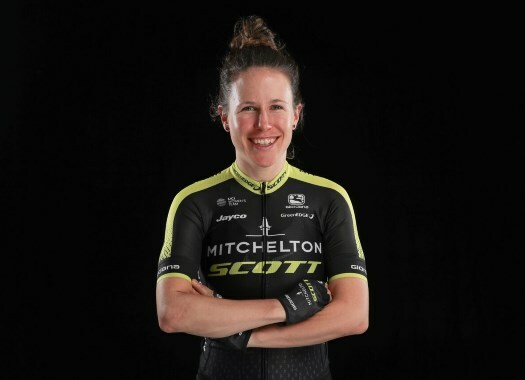 With 38 kilometres to go, the Dutchwoman changed the pace and left Spratt struggling behind, but despite this, she kept riding on her own and could hold onto the second position of the final podium. "I just tried to hold her wheel as much as I could, which was maybe a little mistake," she explained. "I probably could have stayed with her a little longer than I did but she was on another level today. She was so so strong. "I’m glad to deliver a medal for the team. They’ve been supporting me, backing me since when the team was selected. The rider was happy to be riding in the country and in the Tirol region. "It was my second time racing in Austria. 13 years ago, I rode the Junior Worlds, track and road, in this country," Spratt commented. I also came here to Innsbruck in October last year to reconnoitre the course. I love the beautiful nature and scenery in Tirol."